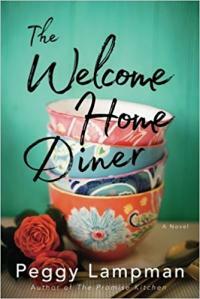 Betting on the city of Detroit’s eventual comeback, cousins Addie and Samantha decide to risk it all on an affordable new house and a culinary career that starts with renovating a vintage diner in a depressed area of town. There’s just one little snag in their vision. Angus, a weary, beloved local, is strongly opposed to his neighborhood’s gentrification—and his concerns reflect the suspicion of the community. Shocked by their reception, Addie and Samantha begin to have second thoughts. Shelby Preston, a young single mother, is at a crossroads. She feels suffocated by her hardscrabble life in rural Georgia and dreams of becoming a professional chef. Lord knows her family could use a pot of something good. In Atlanta, Mallory Lakes is reeling from a bad breakup. The newspaper food columnist is also bracing for major changes at work that could put her job at risk.